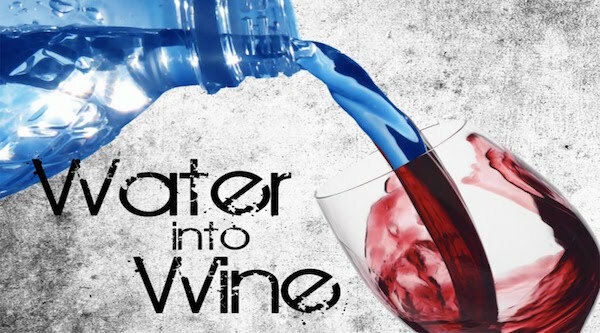 Steve’s breakdown: SodaStream‘s next trick is turning water into wine but here’s the thing: it’ll only be available on SodaStream’s online shop in Germany. We think this is going to take off and you might as well ride the wave as the agency when it hits. MOUNT LAUREL, NJ: For as long as SodaStream devices have been around, people have been trying to carbonate booze in them, to varying degrees of success. But it looks like SodaStream has heard your prayers, with the company’s newly announced ‘Sparkling Gold’ drink mix, an alcoholic concentrate that you can add to your freshly carbonated SodaStream bottles. It’s the first time SodaStream has sold an alcoholic mixer for sparkling water, and according to the company, “Sparkling Gold contains 10 percent alcohol by volume when prepared using the recommended mixing ratio of one part ‘Sparkling Gold’ concentrate to five parts sparkling water” — which is not to say that you couldn’t add more if you wanted to add a punch to your toasts. SodaStream claims to have conducted an independent taste test of 100 people in Germany, which found that 76 percent of people surveyed rated the resulting mixture on par with actual French champagnes like Moet & Chardon and Veuve Clicquot, for whatever you feel that that’s worth. Each bottle of Sparkling Gold mix is enough for 12 glasses of wine, but there is some bad news before you go off to save a wedding in Galilee with a SodaStream in hand: the Sparkling Gold mixture is set to be a limited edition product, and it’ll only be available on SodaStream’s online shop in Germany.